Donald Trump says he doesn't think AT&T and Time Warner should merge. And Hillary Clinton might not want them to either. No matter who our next president will be, regulators are likely going to be very tough on the $85 billion mega-merger. The regulatory climate has intensified lately, with the Obama administration saying no to several huge deals. Scuttled tie-ups included AT&T (T) and T-Mobile (TMUS); Sprint (S) and T-Mobile; Halliburton and Baker Hughes; and Pfizer and Allergan. Still, regulators under President Obama have been relatively lax in approving mergers, compared to those working for Bill Clinton, the previous Democrat in the Oval Office. In fact, Hillary Clinton has expressed misgivings about the Obama administration's approach to challenging mergers. In an October 2015 op-ed in Quartz, Clinton promised to "beef up the antitrust enforcement arms of the Department of Justice and the Federal Trade Commission" if she is elected. On Sunday, Brian Fallon, a Clinton campaign spokesman, told reporters, "We think that market place competition is a good and healthy thing for consumers. And so there are a number of questions and concerns that rise in that vein about this announced deal but there is still a lot of information that needs to come out before any conclusion should be reached. Certainly she thinks that regulators should scrutinize it closely." Also Sunday, the Trump campaign came out with a new statement that was even more critical of the deal than the candidate himself had been earlier. Implicitly comparing him to the trust-busting president Teddy Roosevelt, the statement -- attributed to Peter Navarro, one of the campaign's economic advisors -- said, "Donald Trump will break up the new media conglomerate oligopolies that have gained enormous control over our information, intrude into our personal lives, and in this election, are attempting to unduly influence America's political process. ... Donald Trump would never approve such a deal because it concentrates too much power in the hands of the too and powerful few." The candidates positions' don't bode well for a mega-merger between AT&T and Time Warner (TWX) that regulators likely have misgivings about already. There will be fears that AT&T will play games with Time Warner's content, whether by keeping some of it exclusive to AT&T, giving Time Warner's cable networks better placement on channel lineups than its competitors get, or charging its competitors in the distribution space more for the programming it owns. Concerns like those have already led the chair and ranking member of the Senate Judiciary Subcommittee on Antitrust, Competition Policy, and Consumer Rights to announce that they will hold hearings on the proposed deal next month. The Justice Department and the FCC have been heavily criticized over their approval of Comcast's 2009 acquisition of NBC Universal. That's the closest parallel to AT&T's proposed blockbuster purchase of the parent company of CNN, HBO and Warner Bros., among others. Credit Suisse analysts wrote in a note this week that they expect a "lengthy antitrust review" of Time Warner and AT&T -- enough to give the companies pause about a potential merger. The analysts said the regulatory environment gives the deal an "uncertain outcome." The companies evidently disagreed -- AT&T has to pay a substantial amount of money if the deal is blocked. But Time Warner is decidedly different than T-Mobile or any of the other takeover targets that the Obama administration said "no" to. "This is not the T-Mobile deal; there is no competitor being removed from the marketplace," AT&T CEO Randall Stephenson noted during a conference call with the media. 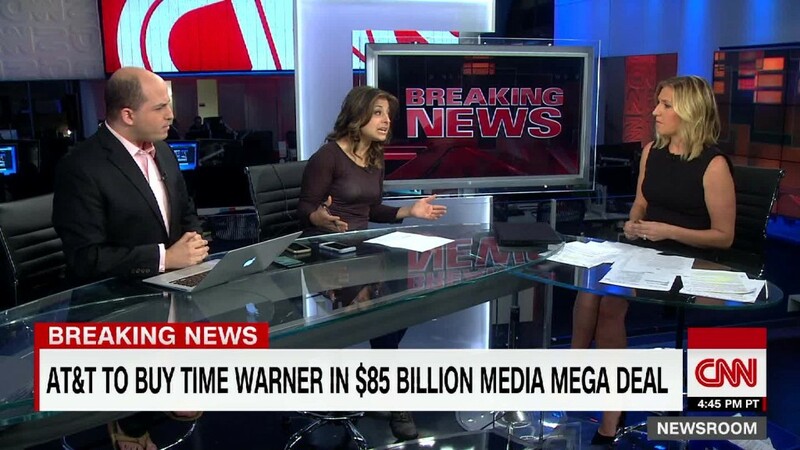 "Time Warner is a supplier to AT&T. It's a classic vertical merger. They're always dealt with by concessions and conditions -- that's what we anticipate happening here." Time Warner is also different than NBC Universal, in that it owns only a small handful of broadcast networks, and the companies have not yet decided if any of those licenses will be part of the deal. If they're spun off, the FCC wouldn't even need to be involved in the scrutiny of the merger. In a press release, AT&T noted that one of the aspects that makes Time Warner an attractive asset is that its business "is lightly regulated compared to much of AT&T's existing operations." The companies noted that they expect the transaction to close before the end of next year, following regulatory review.